Summary: Find the Difference Between Internet Address and Web Address by reading the below article. The Internet relies on an addressing system much like the postal service to send data and information to a computer at a specific destination. A Web page has a unique address, which is called a URL (Uniform Resource Locator) or Web address. The Internet relies on an addressing system much like the postal service to send data and information to a computer at a specific destination. An IP address, short for Internet Protocol address, is a number that uniquely identifies each computer or device connected to the Internet. The IP address usually consists of four groups of numbers, each separated by a period. In general, the first portion of each IP address identifies the network and the last portion identifies the specific computer. These all-numeric IP addresses are difficult to remember and use. 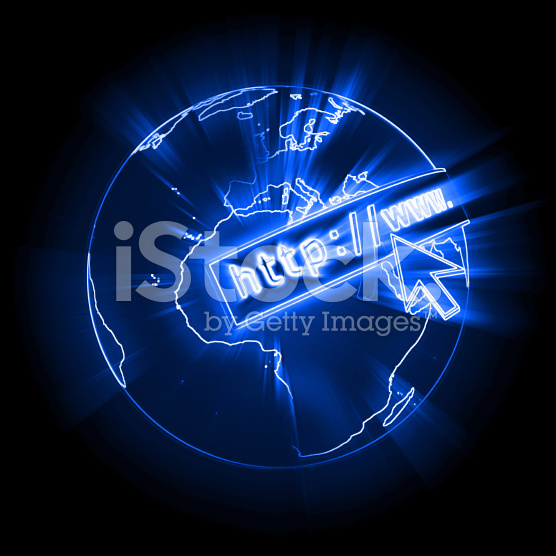 Thus, the Internet supports the use of a text name that represents one or more IP addresses. A domain name is the text version of an IP address. An IP address and its associated domain name. As with an IP address, the components of a domain name are separated by periods. The text in the domain name up to the first period identifies the type of Internet server. For example, the www indicates a Web server. The Internet server portion of a domain name often is not required. Every domain name contains a top-level domain (TLD), which is the last section of the domain name. A generic TLD (gTLD), such as the com, identifies the type of organization associated with the domain. Some gTLDs. For international Web sites outside the United States, the domain name also includes a country code TLD (ccTLD), which is a two-letter country code, such as au for Australia or fr for France. When you specify a domain name, a server translates the domain name to its associated IP address so that data and information can be routed to the correct computer. This server is an Internet server that usually is associated with an Internet access provider. A Web page has a unique address, which is called a URL (Uniform Resource Locator) or Web address. For example, the home page for the United States National Park Service Web site has a Web address of http://www.nps.gov. A Web browser retrieves a Web page using its Web address. If you know the Web address of a Web page, you can type it in the Address bar at the top of the browser window. If you type http://www.nps.gov/grsm/planyourvisit/wildlifeviewing.htm as the Web address in the Address bar and then press the enter key, the browser downloads and displays the Web page. A Web address consists of a protocol, domain name, and sometimes the path to a specific Web page or location on a Web page. Many Web page addresses begin with http://. The http, which stands for Hypertext Transfer Protocol, is a set of rules that defines how pages transfer on the Internet. To help minimize errors, many browsers and Web sites do not require you enter the http:// and www portions of the Web address. When you enter the Web address, http://www.nps.gov/grsm/planyourvisit/wildlifeviewing.htm in the Web browser, it sends a request to the Web server that contains the nps.com Web site. The server then retrieves the Web page that is named wildlifeviewing.htm in the grsm/planyourvisit path and delivers it to your browser, which then displays the Web page on the screen. To save time, many users create bookmarks for their frequently visited Web pages. A bookmark, or favorite, is a saved Web address that you access by clicking the bookmark name in a list. That is, instead of entering a Web address to display a Web page, you can click a previously saved bookmark.